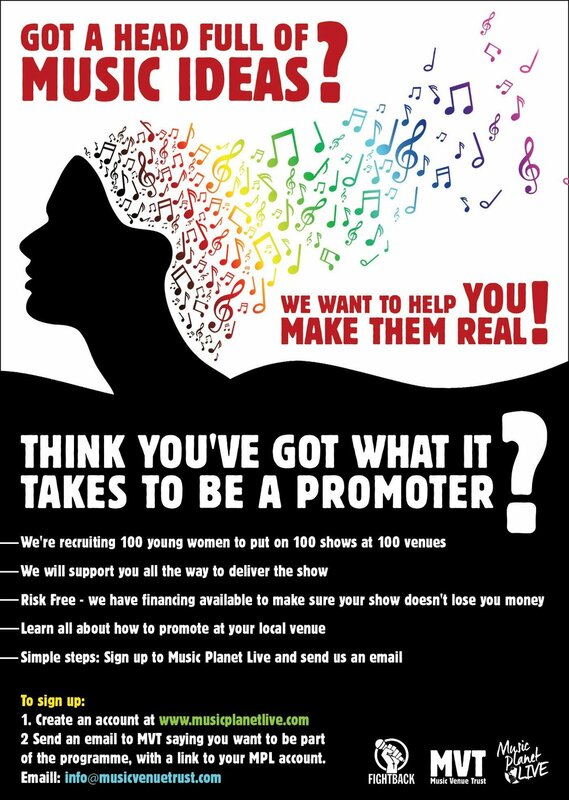 Music Planet Live and the Music Venue Trust (MVT) FIGHTBACK campaign is recruiting 100 young women to put on 100 shows at 100 venues. Participants will be supported all the way to deliver the show. The scheme is risk free as organisers have financial assistance to ensure promoters don't lose money. It provides an opportunity to learn about how to promote at local venues.